SEQUEL TO THE ANNUAL PROMOTION DRAW OF THE ABOVE NAMED ESTABLISHMENT IN EUROPE, CONDUCTED ON THE 27TH OCTOBER, 2006. 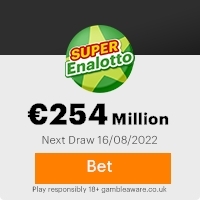 I AM GLAD TO NOTIFY YOU THAT YOUR E-MAIL ADDRESS ATTECHED TO REF NO: AIF61693008-09 AND TICKET NUMBER: 40338522CH WHICH WON IN THE FIRST CATEGORY 'A' LUMP-SUM OF ONE MILLION AND FIVE HUNDRED THOUSAND Euros ( 1.500,000; 00. Euros). Previous: REF. NO: MML/00235849/06/0025Fresh ScamsNext: REF NO: k1Q/001/002/22 ... CE!!! This Email with the Subject "REF NO: AIF61693008-09!!!" was received in one of Scamdex's honeypot email accounts on Sat, 11 Nov 2006 15:23:34 -0800 and has been classified as a Generic Scam Email. The sender shows as Robert Heinz <robert@heinzrobert.orangehome.co.uk>, although that address was probably spoofed. We recommend that you do not attempt to contact any persons or organizations referenced in this email, as you may expose yourself to scammers and, at the very least, you will be added to their email address lists for spam purposes.